The Basics of Yamaha Quality. If you are a no-frills type of boater who demands the best at a reasonable price, the Yamaha Origin series is for you. Built into these hard workers are all the quality and reliability that set Yamaha apart from the competition. With proven loop-charged engines that deliver reliable power and unbeatable fuel economy, not to mention what you expect most from a Yamaha, our legendary durability. Reliable electric starters and alternators give you confidence you will always have the power of quick starts. 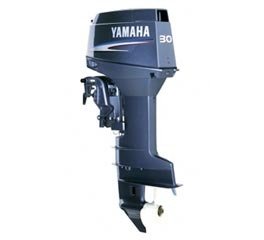 In short, the price is right but these are still Yamaha outboards inside and out. Ignition timing ATDC 2.0 – BTDC 22.0 deg. ATCD 2.0 – BTDC 25.0 deg.